The Commonwealth of Virginia joins a number of states in the U.S. that are looking at changing marijuana possession laws. As new science offers the possibility of using marijuana or derivative substances for health or medicinal purposes, this may increase the chances of law enforcement charging residents with possession. Arrange now to consult with one of our criminal defense attorneys at Spigle, Massey & Clay, PLC. Call (800)-218-5409 or contact us online to schedule your appointment. As with any other controlled substance, there are strict rules for the proper way to purchase and use marijuana, CBD oil, or any other such derivatives or compounds. Being apprehended and charged with marijuana possession would require case review by an experienced criminal defense lawyer. Spigle, Massey & Clay, PLC, offers clients strong criminal defense on marijuana possession and other drug crimes in Virginia. Whether you face state or federal offenses for possession, trafficking, or conspiracy, our attorneys are available to meet with you and review your options. Virginia residents who face charges related to drug possession, trafficking, or conspiracy crimes can call Spigle, Massey & Clay, PLC. When law enforcement apprehends you for a drug offense, you need a lawyer who knows how to protect your rights. 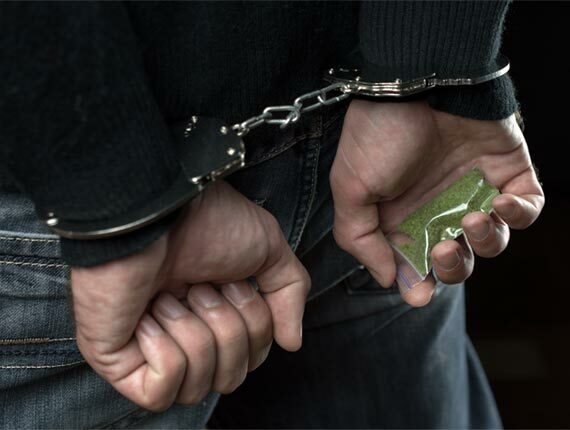 Our attorneys offer strong criminal defense for drug crimes like possession and trafficking. Local and federal agencies may combine forces to crack down on illegal drug activity. So, county, state, and federal law enforcement (DEA) operations may target individual offenders or suspected groups. Are the offenses designated as a misdemeanor or felony? Is this a first-time offense, or part of a history of charges? Was this a legitimate arrest? Our attorneys may discuss these aspects and more with potential clients in order to derive the most effective strategy appropriate for the matter. Contact Spigle, Massey & Clay, PLC today!